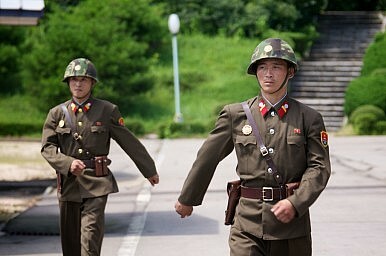 North Korea Hijacks China Plans? China’s public is growing increasingly frustrated with North Korea. It doesn’t want to be sucked into disputes. Most attention in China recently has focused on the Bo Xilai and Chen Guangcheng sagas, as well as the dispute with the Philippines in the South China Sea. But there’s been another issue confronting the Chinese government, one that is at least as complicated as the Bo drama – relations with North Korea. North Korea’s proximity to some of China’s booming regions mean any problems in the Hermit Kingdom risk having repercussions in China. North Korea defied international (including Chinese) opinion last month in going ahead with its bid to launch a satellite, and the outside world has since been speculating that North Korea is planning a third nuclear test. China for its part has expressed concern through the United Nations about the possibility of another North Korean nuclear test, and joined other Security Council members in urging Pyongyang to refrain from such a move. The reason is obvious. Any military-related action by the North will lead to some sort of response from the United States, Japan and South Korea. These countries will have a perfectly legitimate reason to expand their military presence in the region, or else in the case of South Korea and Japan, work to develop even more sophisticated military responses. Although all three nations would frame their response as a reaction to North Korean moves, this would still be seen as a growing threat to China as well. China is fast developing its economy and has no room for potentially disruptive activities such as these. Yet North Korea risks hijacking China’s development, a reality that is causing considerable consternation among both China’s leadership and its public. The close relationship between North Korea and China risks undermining Beijing’s international standing and growing responsibilities as a major nation that’s increasingly opening up to the outside world. China doesn’t want to see North Korea being pressured by the United States or Japan, yet it also doesn’t want to be dragged into the North’s confrontation with the West. The response of the ordinary citizens toward the possibility of a North Korean nuclear test has been even more pronounced. Many netizens are calling on the government not to support North Korea, and the Chinese public’s view of Pyongyang has deteriorated significantly. Some netizens, though, question whether North Korea is even able to conduct a nuclear test, arguing that any claims to the contrary are simply propaganda aimed at rallying its people. They point to previous claims, arguing that while the 2006 test left traces of radiation picked up by international monitors, no such traces were discovered in 2009. In their minds, there are only two possibilities: North Korea has remarkably advanced nuclear technology, or the test that took place wasn’t nuclear. The latter is of course more likely. But whatever happened, North Korea-China ties have continued to slide since then. There’s much we don’t know about North Korea’s missile program. But it’s abundantly clear a new defense strategy is called for. Don’t Return to Korea Status QuoTime for North Korea Peace TreatyHow to Stop Kim’s "Satellite" TestA North Korean Refugee DilemmaWill Xi Jinping Visit North Korea This Year?